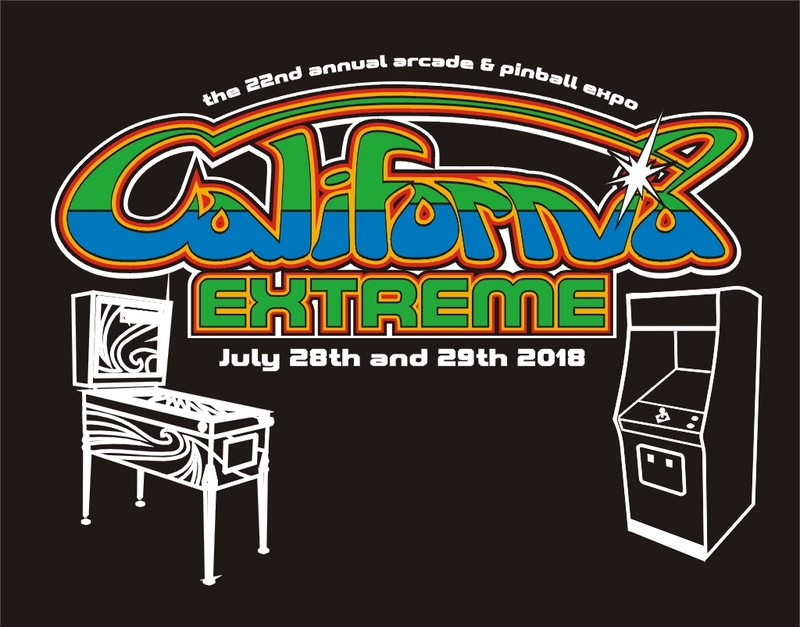 CAX 2018 T-shirts are available for ordering. See the designs and ordering instructions below. Deadline for ordering is August 19, 2018. Please expect a minimum of 8-12 weeks after the deadline for delivery. 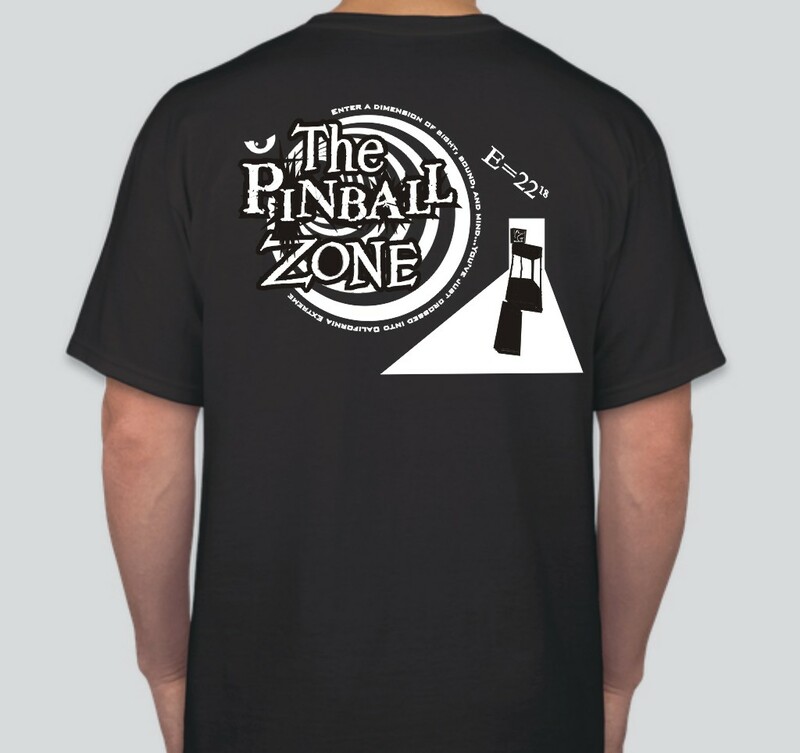 Pinball Zone is available in black with front pocket logo and design on back. Extreme Zone is available in black with front pocket logo and design on back. 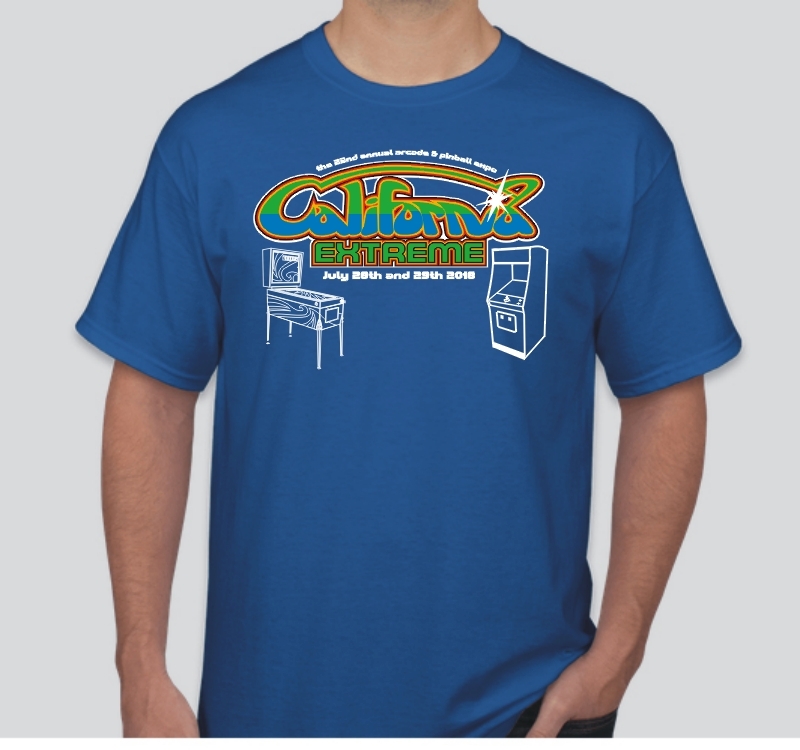 Blue Colorful is available in blue with the design on front. Black Colorful is available in black with the design on front. The above t-shirts are available for $20 for sizes small - XL and $25 for 2XL to 5XL and for all men's tall sizes. 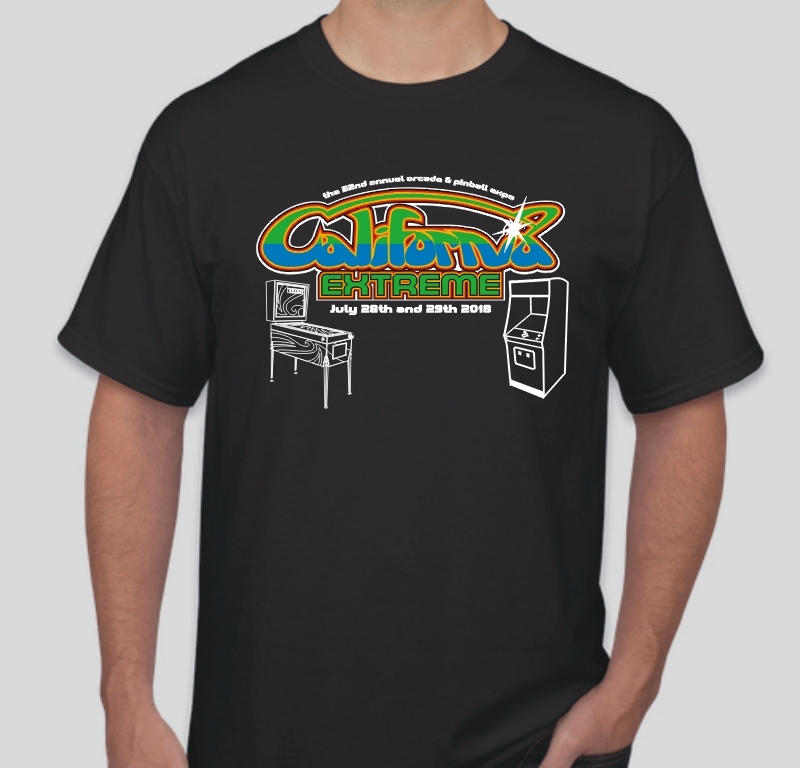 Click here to order t-shirts on-line through PayPal. 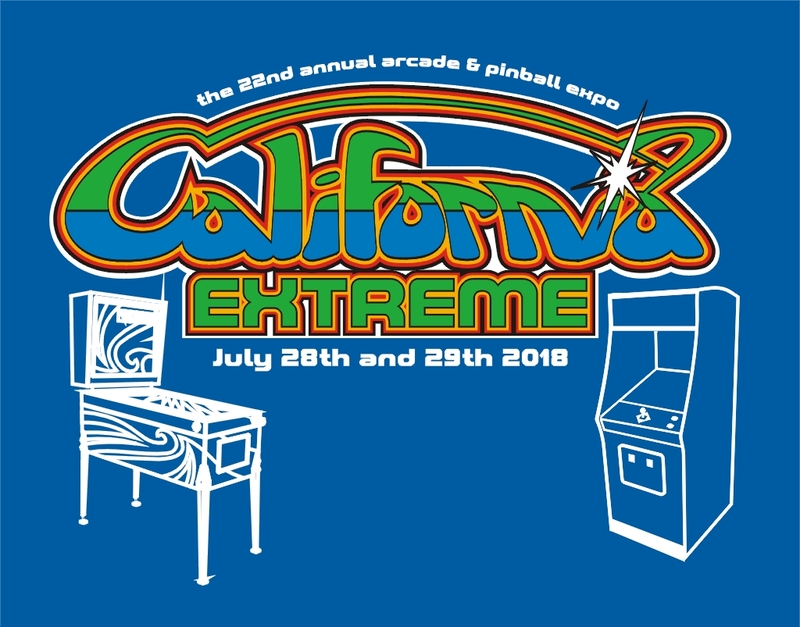 You can also send an e-mail to info@caextreme.org with the following information and send us a check to the address below. Please be as clear as possible since there are many choices - we want to get your order correct the first time! Remember, the deadline for ordering is August 19, 2018! Questions - please contact us through the e-mail address above.